Writer and Patient Advocate Musa Mayer Musa Mayer is a breast cancer survivor and is the author of several books about breast cancer, including Advanced Breast Cancer: A Guide to Living with Metastatic Disease and After Breast Cancer: Answers to the Questions You're Afraid to Ask. She has also written Examining Myself: One Woman's Story of Breast Cancer Treatment and Recovery. 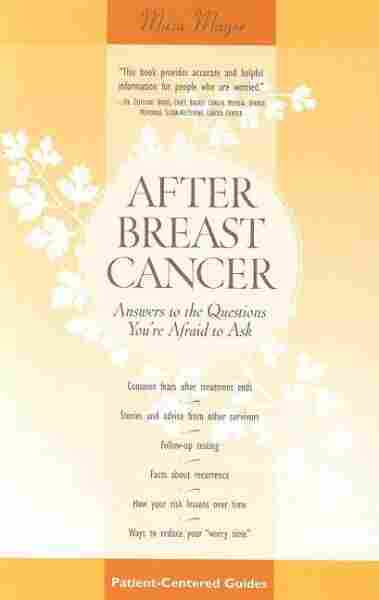 Musa Mayer is a breast cancer survivor and is the author of several books about breast cancer, including Advanced Breast Cancer: A Guide to Living with Metastatic Disease and After Breast Cancer: Answers to the Questions You're Afraid to Ask. She has also written Examining Myself: One Woman's Story of Breast Cancer Treatment and Recovery.